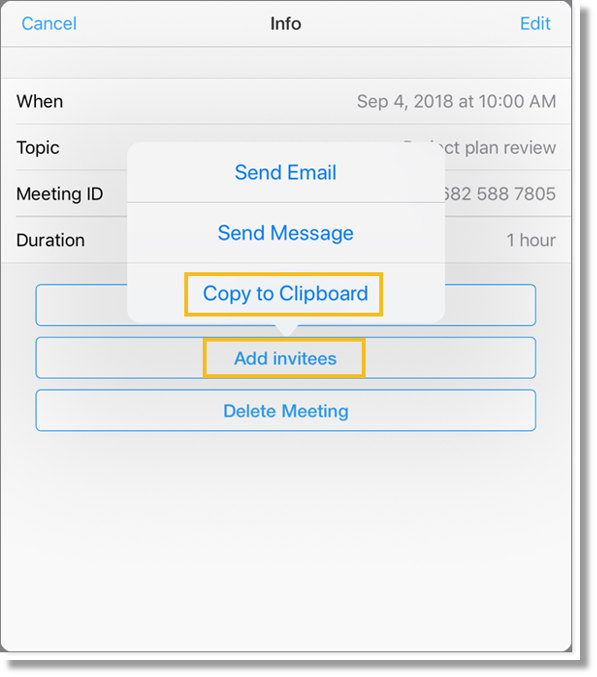 You can invite attendees to a meeting by copying the meeting details to paste into an email or text message. 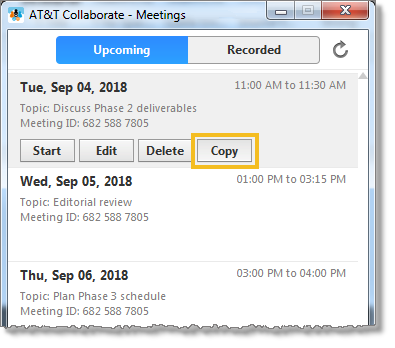 On the Collaborate – Meetings home page, in the lower panel, click Meetings. Hover over a meeting, and then click Copy. Paste the copied details into an email application and send to invitees. 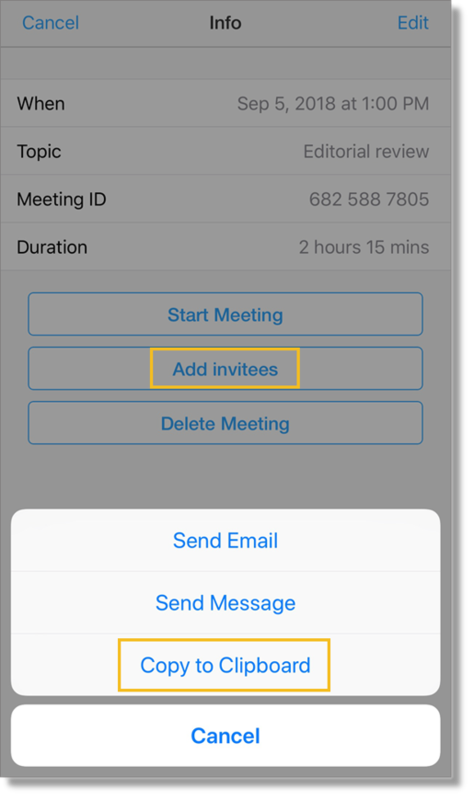 Tap Add invitees, and then tap Copy to Clipboard.